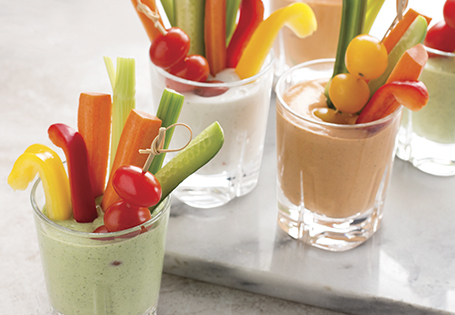 Put a healthy twist on your ranch dip! In a blender, combine all ingredients for chosen flavor. Puree until smooth. Serve with vegetable sticks.